Today while connecting my laptop to the Internet I received an error message Error 651: The Modem (or other Connecting Device) has Reported an Error. 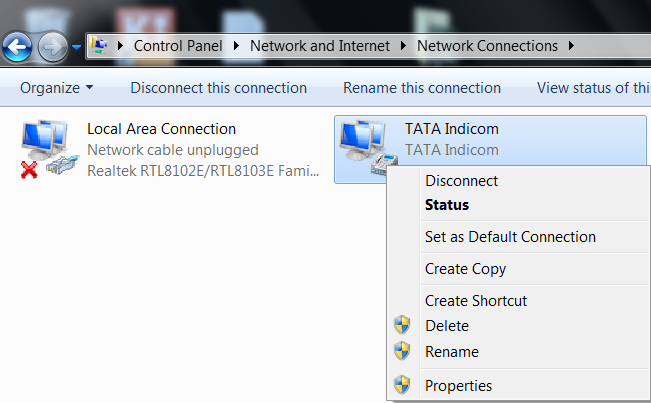 I use Tata Photon Plus to connect my Windows 7 laptop to the Internet. Network Connection Prompt lets me either redial or cancel it. I tried redial option but again I got the same error 651. 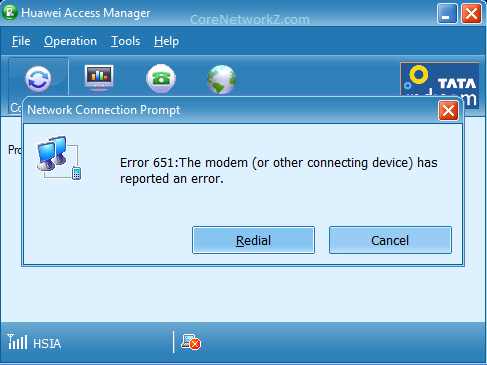 In this tutorial, I am sharing the steps I followed to fix the message "Error 651: The Modem (or other Connecting Device) has Reported an Error". At first, I checked Microsoft knowledge base for the solution. According to them the reason for Error 651: The Modem (or other Connecting Device) has Reported an Error is with Layer 2 Tunneling Protocol (L2TP). They define the reason for the issue as "It occurs because the Layer 2 Tunneling Protocol (L2TP) tries to create a host route and then detects that the route to the host that was created by the dial-up connection already exists". However, I am not sure if it is the right reason for it because I found this answer under Windows 2000 and the message is related to establishing a VPN connection. One of the most discussed reasons for Error 651 is the issues with “raspppoe.sys” file of Windows 7. In many support forums, users comment by replacing “raspppoe.sys” file of Windows 7 with Windows Vista, they could fix the issue. I never tried this method so cannot agree or disagree. If the method mentioned in this tutorial does not work for you, it is a suggested workaround. Here I would like to share some practical steps to solve the "Error 651: The Modem (or other Connecting Device) has Reported an Error". I recommend you to follow the steps in the same order I provided. If you want to delete any dial-up connections, you can do it from here.